About MBW | MBW Inc.
MBW of Slinger, WI, began operations 50 years ago with its introduction of a lower maintenance vibratory plate compactor. Today the Company's product line encompasses a full line of soil compaction products, equipment for mixing, vibrating, screeding, finishing and slipforming of concrete, as well as a number of specialty products for construction applications. All MBW products have been designed and manufactured with one mission in mind: To advance the state of the art in product design while providing reliable and reasonable relationships with its customers. That mission began in February of 1967 when two men with extensive backgrounds in mechanical vibration and soil compaction began a business in an unheated contractors shed. Helmut Maass and Frank Multerer Sr. built four vibratory plates at a time. They loaded them into the Multerer family station wagon and Frank would travel to Chicago or other Midwestern cities peddling the machines on a cash-only- sales basis. When those machines were sold, the proceeds were immediately used to build four more plates and Frank would be off on yet another venture. 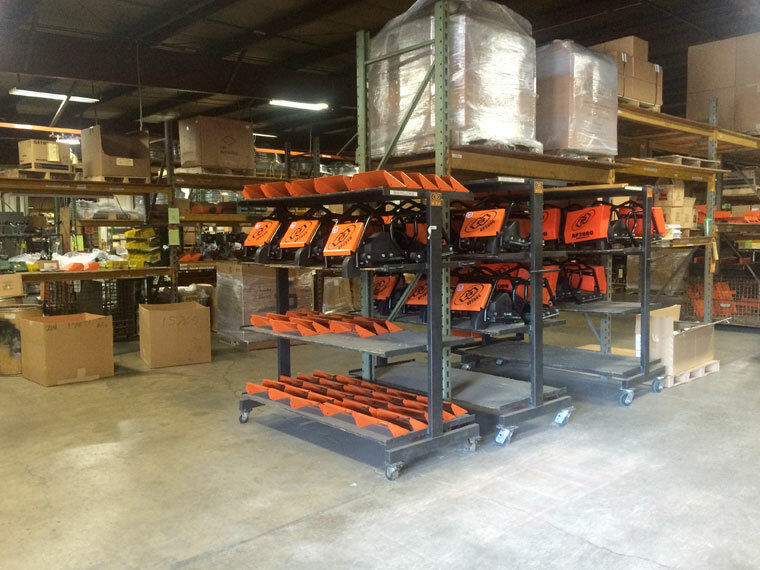 From those humble beginnings MBW emerged in 1970 as a market leader in vibratory plates throughout several Midwestern states. The plates were revolutionary in that they dramatically reduced maintenance associated with plates of that time and applied a different approach in the vibration system allowing them to travel faster and deliver greater compaction energy than competitive models. new R&D projects must show potential for securing intellectual protection. By applying these principles, MBW has ensured that it's products provide tangible benefits in terms of productivity, reduced maintenance and overall cost compared to less innovative suppliers. Today, this approach remains integral to MBW's R&D effort and is readily seen in the majority of the company's products. From vibratory plates, MBW went on to design percussion rammers. The 1970s also witnessed MBW's entry into vibratory concrete screeds, powered concrete finishing equipment (trowels) and mortar-plaster mixers. 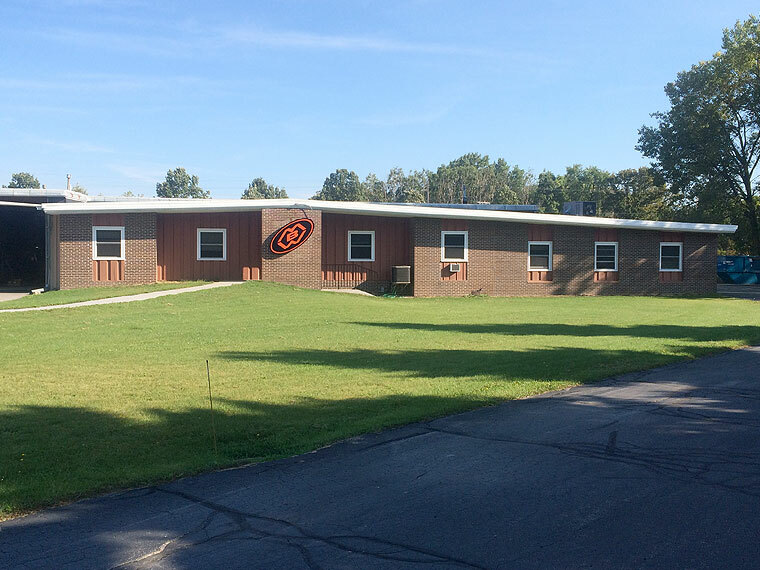 R&D and production dramatically increased after MBW moved into its new facility in 1971. After several expansions, MBW's Slinger, WI plant now measures 95,000 square feet. Additionally, MBW operates a subsidiary, MBW Europe Ltd., in Bolton, England. Smart Rammers - Improving compaction performance yet reducing vibration at the operator position through increases in reaction mass and a lower center of gravity. The Smart Rammer features the industries first integral tach/hour meter to verify that the rammer is running at an optimal level from a compaction viewpoint and to indicate service intervals for owners or rental operators. EXA & UVW Vibratory Wheels - These attachments for backhoes and excavators combine host machine down-pressure with vibratory dynamics. EXAs & UVWs are versatile and can be used across the full spectrum of soil types. Productivity gains compared to alternative methods offer huge potential. Maintenance is low compared to other compaction equipment. Soil Compaction Meter and Supervisor - Low cost, battery powered, and easy to use seismic technology that informs compaction equipment operators when they have achieved maximum achievable soil stiffness and corresponding density under existing conditions. The answer to high cost, often impractical alternative soil testing methods. Independently tested with very high correlation to typical density specifications. Provides direct index of soil stiffness. Slip Form Paver - A downsized curb & gutter slipform paver offering users a technically advanced, high production machine at an affordable price. It excels at pouring tight radii. Pouring parameters 18" high by 48" wide. Soil Pick - A Pneumatic soil excavator that employs a supersonic air stream to locate and excavate around buried utilities. A selective excavator in that only non-porous soils are fragmented and removed. Will not damage utilities and tree roots. A multi-application tool with uses in construction, agriculture, shipping and many other fields. MBW's passion to innovate may be most readily apparent in its product line. But it's MBW's innovative approach to running its business coupled with ongoing investment in engineering, production and data processing technology that has enabled MBW to operate with world class efficiency. MBW's plant is state-of-the-art. The heart of MBW's production facility is a battery of CNC metal working machinery. Microsoft Windows XP workstations with SolidWorks software link manufacturing and engineering departments. MBW also utilizes MAPICS XA software on an IBM iSeries for accounting and inventory control which includes an unparalleled MRP (Material Requirements Planning) package. MBW has received national attention in computer industry trade publications as an American manufacturer on the cutting edge of computer related manufacturing methodologies. On the financial front, MBW's innovative business approach resulted in a national test case which allowed for the application of LIFO inventory valuation methods to a manufacturing environment.